ARLINGTON, VA - (@The Comedy News) - A crotchety government clerk announced to his coworkers that he will not be tolerating any puns relating to Guns 'N Roses and the rainy weather today. "Anyone who says something today about Cold November Rain gets a beat-down," wrote Bill Jackson in an all-office email. "I get it. It's November, it's rainy, it's like 51 degrees outside. If you make any references to the Guns 'N Roses hit 'November Rain', I will beat you mercilessly." Press Secretary: "Man this weather sure is ugly. 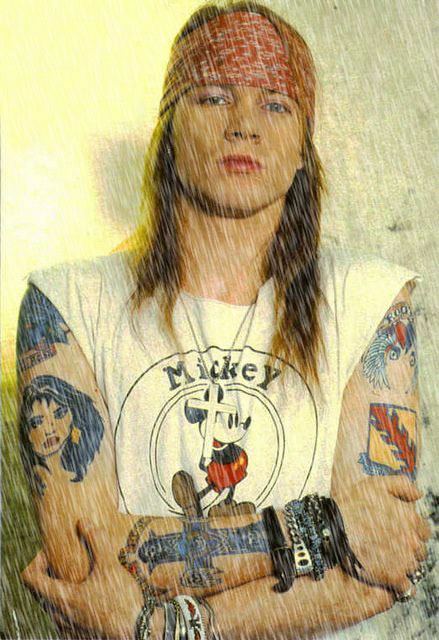 Good thing [singing] nothing lasts forever, even cold November rain!" Bill's co-department colleague: "Hey Bill, I really have no choice on this matter, [singing Civil War] my hands are tied!" Staff Director: "Jackson, stop dividing the office, [singing] I don't need no civil war!" Human Resources Chairwoman: "Sorry, you'll have to fill out paperwork to take leave-time to enroll in that anger-management clinic, Bill. [singing] Welcome to the jungle, it's all fun and games!" Fall Intern: "I love it when you get all pissy, I want you to mentor me, you big scary animal, Bill. [singing seductively] You could be mine! Oh won't you please take me home?" Jackson, a deputy clerk for intergovernmental affairs at the Department of Homeland Security, has snapped at his coworkers in the past. Earlier this year, he put up threatening post-it-notes around the water cooler asking coworkers to respectfully not refer to Guns 'N Roses as "GNR". Jackson contends that the only things that should be abbreviated should be "awesome things, like the NFL and WWE", and that "a one-album wonder like Guns 'N Roses does not qualify for abbreviation."